A deadly magnitude-6.9 earthquake struck Indonesia’s resort island of Lombok at 6:46 p.m. local time on Sunday, Aug. 5, killing at least 430 people and injuring more than 1,300 others. Hundreds of thousands of people have been displaced, rendered homeless amid hundreds of powerful aftershocks, one on Aug. 9 registering a magnitude-5.9. The Aug. 9 aftershock caused more “trauma,” says national disaster agency spokesman Sutopo Purwo Nugroho. More than 67,000 houses and 600 schools are damaged. About 1 million people reportedly live near the epicenter of the magnitude-6.9 quake. It was the second deadly earthquake to rock Lombok since July 29; an earlier earthquake occurred on Sunday, July 29, killing 16 people. 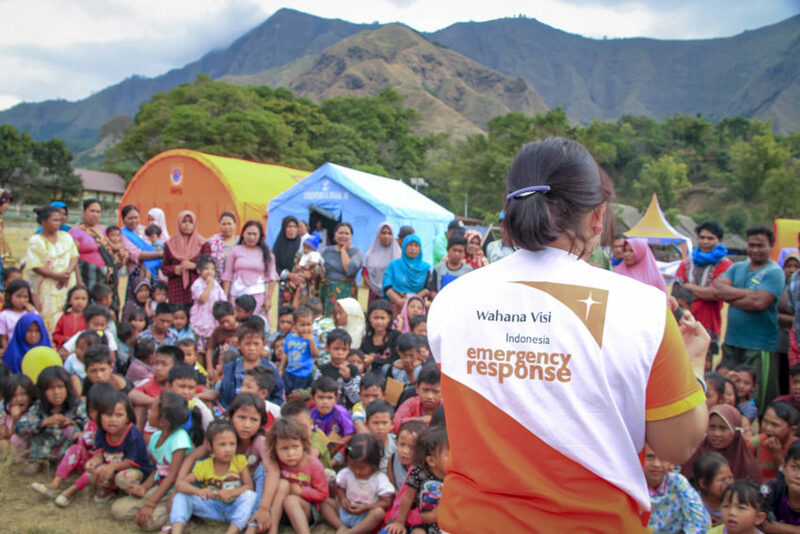 Due to the region’s seismic activity, World Vision staff in Indonesia have been conducting earthquake emergency preparedness training since July 3. After the Aug. 5 quake, seven World Vision staff members have checked in as safe and unharmed, Margarettha says. Although World Vision staff are in the area, World Vision does not have programs or sponsored children on Lombok Island. The nearest World Vision project is located in Surabaya, more than 350 miles away — an hour by airplane from the affected area. The earthquake on Sunday was the biggest temblor to strike Lombok Island; six other earthquakes of magnitude-6.5 or larger have been recorded over the previous century. The 2018 quake was so powerful, people on the island of Bali, more than 100 miles east, were rattled. Explore frequently asked questions about the Indonesia earthquake on Sunday, Aug. 5, and learn how you can help children and families impacted by the magnitude-6.9 quake and its aftershocks. Where did the Indonesia earthquake hit? How can I help victims of the Indonesia earthquake? 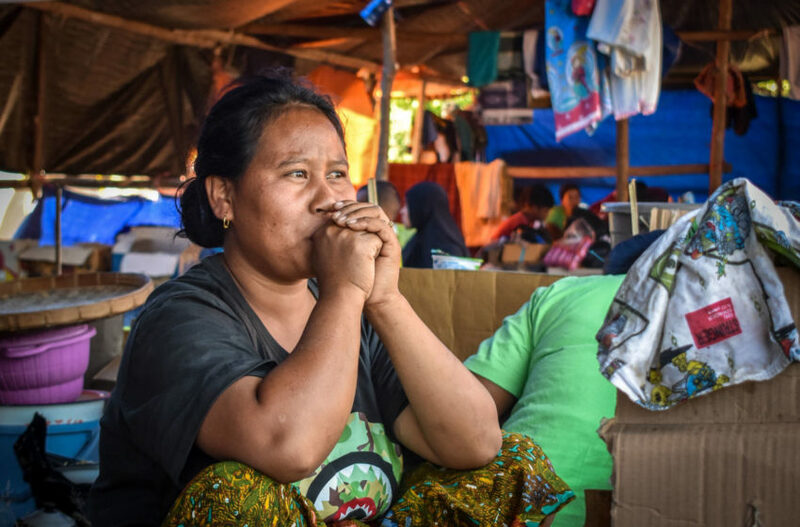 How is World Vision responding to the Indonesia earthquake? 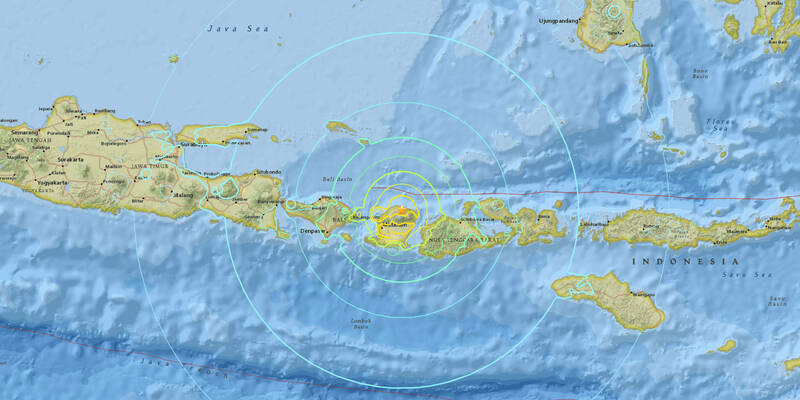 The 2018 Indonesia earthquake was centered nearly 2 miles southeast of Loloan, Indonesia, located on Lombok Island. It triggered a tsunami warning, according to the Indonesian’s Meteorological, Climatological and Geophysical Agency, but the tsunami warning was soon lifted. World Vision staff are responding and mobilizing to deliver relief supplies to affected communities as quickly and safely as possible. 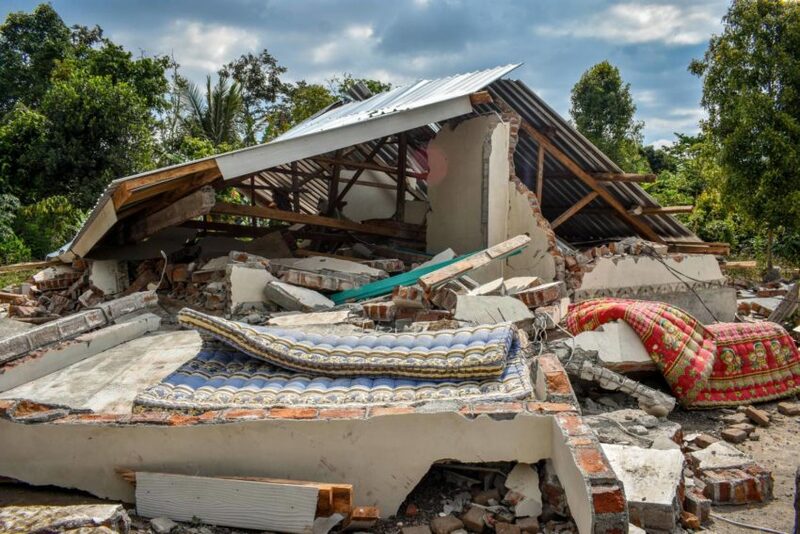 Give: Consider helping us continue the flow of emergency supplies by donating to World Vision’s Indonesia earthquake relief fund. Pray: Join us in praying for people affected by the earthquake as well as for World Vision staff and emergency responders have begun operations. Almighty Father, we ask for Your mercy on those affected by the earthquake. Protect people. Guide aid workers and emergency responders in the hard-hit areas and as relief measures begin in earnest. World Vision’s response is focusing on child protection, educational programs for children, and water, sanitation, and hygiene. Child-Friendly Spaces provide children a safe place to learn and play. About 740 children have participated so far. “There were two children today who drew pictures of their families with sad faces and said it was because they are scared of all the earthquakes,” Bevita says. As of Aug. 14, about 379 families have received kits including tarpaulins, blankets, and hygiene kits. About 30 teachers have also received pyscho-social training to be able to help students.